Two. Strand. Twist. Out. One of the easiest natural hair styles to do and one of my all time favorites so you can imagine my sadness when it seemed the style wasn't turning out right. Luckily I figured out that by simply changing one product I was able to revive my old fav. Another issue I faced was keeping that day 1 definition throughout the week. Only recently have I figured out how to maintain it. Maybe it's due to my hair changing or maybe it's just the fact of spending a little extra time during styling and the initial take down but at any rate I wanted to share my new tips with you guys! This seems like a very simple tip but one thing I've been guilty of is getting in a rush on wash days. I spend a lot of time pre-pooing, washing, deep conditioning etc. that sometimes when it finally comes down to styling I will throw some twist in and call it day because I'm tired. But let's be honest, if I spent all of that time in the wash process whats a few extra minutes going to hurt that will give me a lasting style? I've learned that I have to take a little more time in styling. This includes making sure my hair is completely detangled and smooth as I twist down, as well as having a good balance of product (styler and gel- I use the Creme of Nature Pudding Perfection and EcoStyler gel with Argan Oil). I also use metal clips to to set my roots (allows for a little stretching since I have a problem with crazy shrinkage). You want your completed twists to look flawless this is the first step to a defined twist out. The next rule which is just as important as the first, is to make sure that your twist are dried completely. 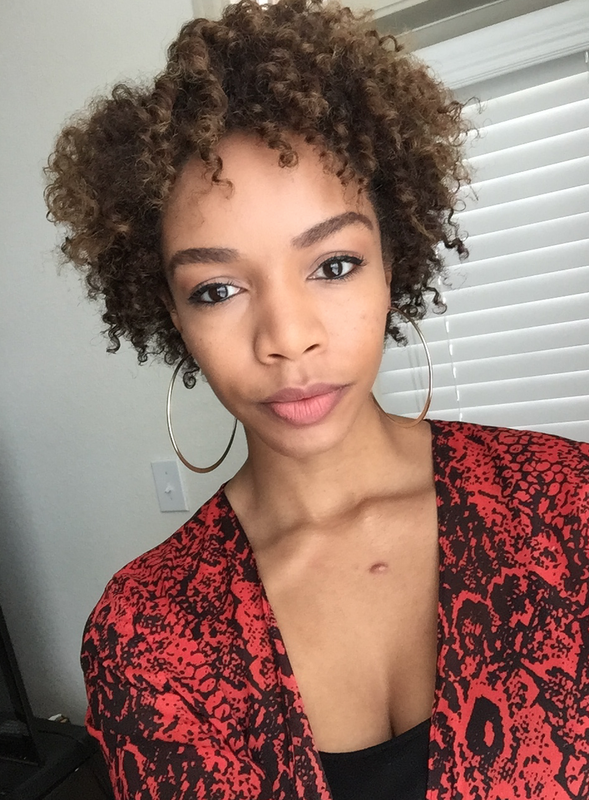 Whether you are a newly natural or you've been on your journey for a while, you will encounter the unfortunate morning of waking of with wet hair and having your twist out lose definition due to frizz. Sad day. It may call for you to sit underneath the dryer if your hair takes longer than a typical nights 8hrs of sleep, but completely dried hair is key. I'd also recommend sleeping on a satin pillow case night 1 vs the bonnet because if your twist are "stunted" due to the cap your twist won't be as stretched. In the video I share below my hair wasn't completely dried (fail) so I didn't have as much definition as I've had in the past few weeks smh but I had to get to work on time so yeah. I also threw on a satin cap to sleep in, not thinking, so I had to deal with some wonky twist in the back but I made it work. Third and most importantly is to take your time during take down. Go through each twist and separate out the curls paying attention to the direction each curl twirls. If your curls are defined on day one they will last throughout the week. Another tip I have, especially to tame those frizzies or the curls that may not have come out perfectly is to take a little bit of gel and coil the strand. This helps to further the curl definition and correct the mishaps. Day one you will have a lot of curl definition, not too much volume. To maintain, each night take larger sections of your hair and retwist. For the first couple of nights you shouldn't need any product but if needed only add a little oil; no gel or butters until maybe day 4 or 5 if needed. Each morning since your curls are already defined it should only call for separating the sections, fluffing with a pick and going. You will see that your hair will retain definition and get more voluminous as the week goes on. Altering my styling process and taking just a tad bit more time to slow down in the beginning has made all the difference in the world. I have a new love for my natural hair. That's one of the joys about this journey, learning through the frustrations and simplifying the process for other naturals who may be enduring some of the same problems. Check out the complete process below! Vanessa Michele. Christian. Writer. Content creator. Giver of love. Collector of quotes. Yoga enthusiast. Forensic Scientist by day.